Product #1096 | SKU 058B | 0.0 (no ratings yet) Thanks for your rating! 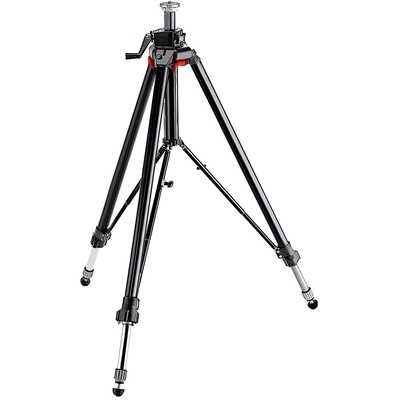 The Manfrotto 058B Aluminium Triaut Tripod is a professional tripod ideal for use with medium format and 4x5" cameras. It features a built-in bubble level, and automatic leg release system which allows for simultaneous or individual release of the leg sections. This system permits the legs to be extended and the tripod levelled and locked in seconds without the need for individual leg adjustments. Telescoping the legs is achieved by activating the same release.